This family were looking at expanding their three-bedroom home - both upstairs and down. 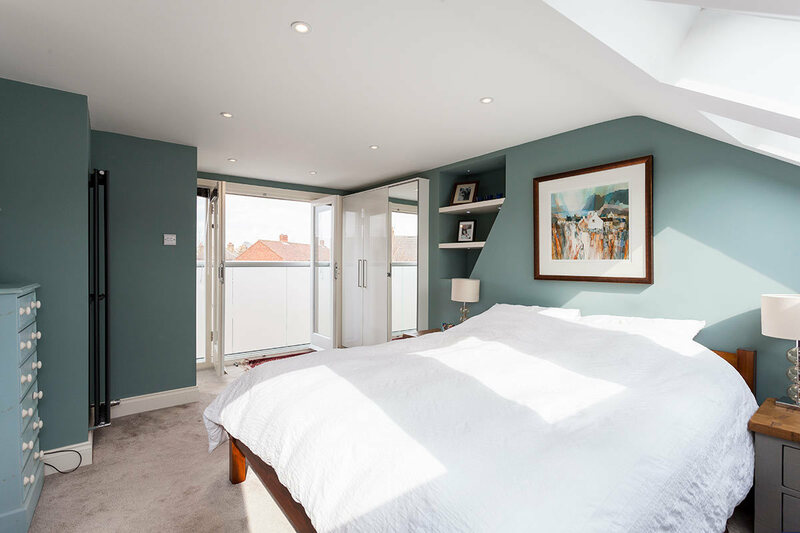 They not only wanted to add a ground floor extension, but were looking to also convert their loft into a new bedroom. A big job, and one we were more than happy to take on. Our first challenge was creating the ground floor side extension. The family is based in London, and as such, garden space is at a premium. This meant whatever we did, we had to make sure enough garden was left for the family to enjoy. 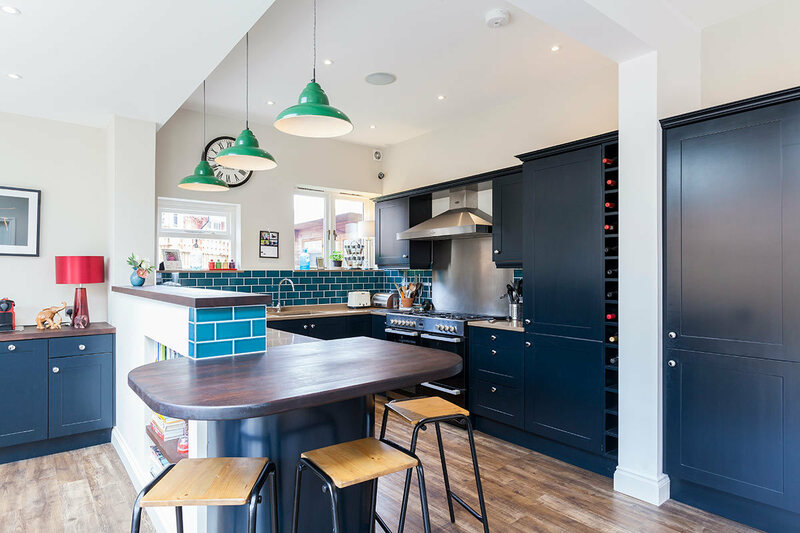 For this careful balancing act, we staggered the extension, creating one area for living and dining, plus another for a ground floor bathroom. 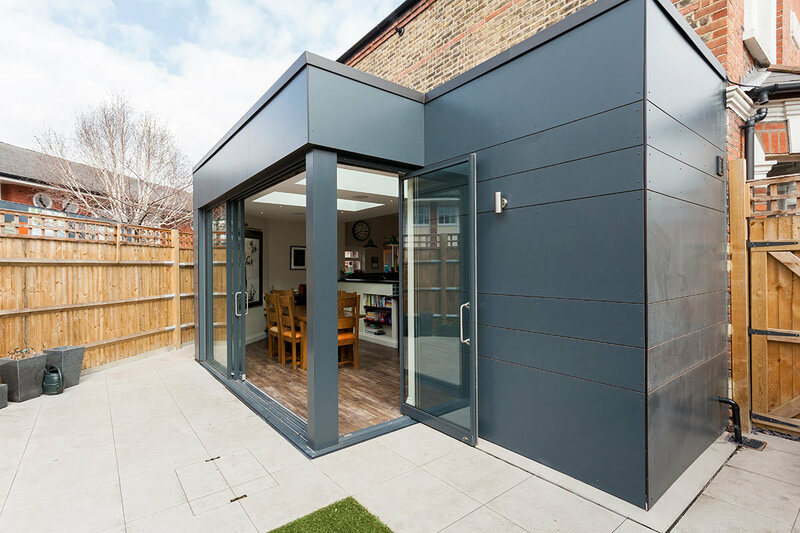 The homeowners were keen to make their extension stand out from the crowd, so we looked to combine the classic with the contemporary. The result is a sleek, industrial space, created through black cladding. This bold design is eye-catching, but works nicely with the earthy tones of the fencing and bricks. 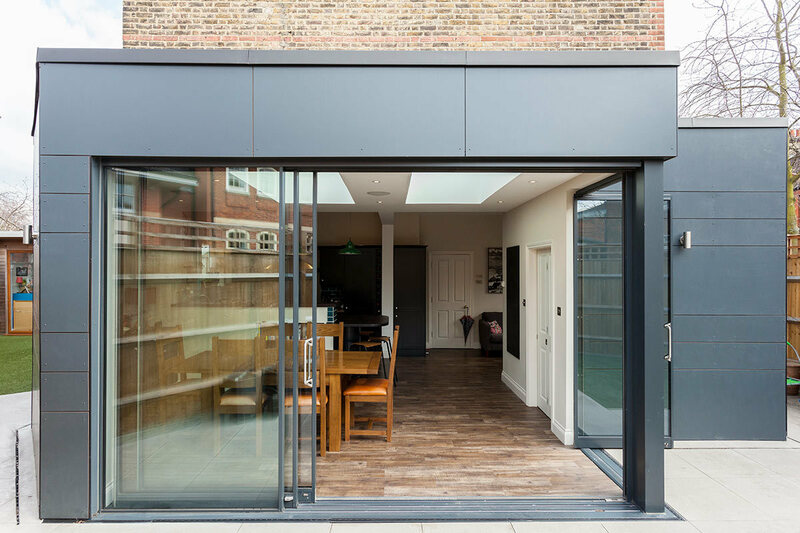 Using the flat roof, we allowed the inside to feel bright and airy, with two large rooflights travelling through the kitchen. 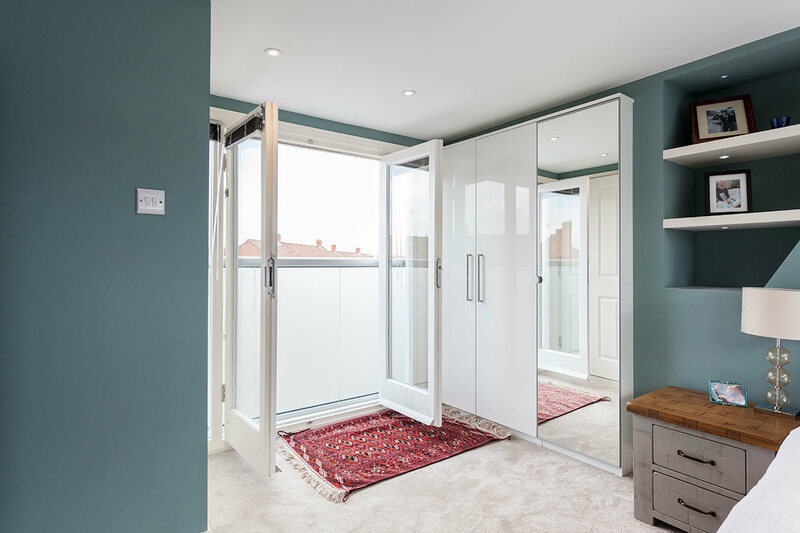 With the aluminium doors, we tried to also add as much glazing in as possible, and allowed them to open from the front and side. 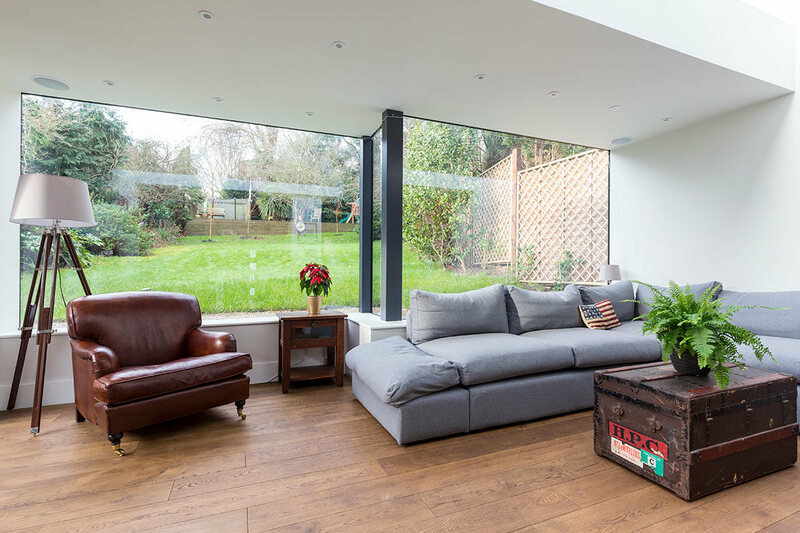 Once opened, the sense of connection between inside and out makes this living area the perfect family hangout. Moving on to the loft, we started out by expanding the space and adding a dormer. Not only did this eliminate the sloping pitched roof, but it gave us the chance to create a small balcony. With some french doors, the loft suddenly opens up and becomes a whole new space. This double master bedroom would be perfect as either an escape for parents, or as a hideaway for older children. Plus, with its own ensuite, you could even have this as the living quarters for either a nanny or an au pair. This property truly shows that even with some challenges, any space is limitless in its possibilities - with the right designer on board.